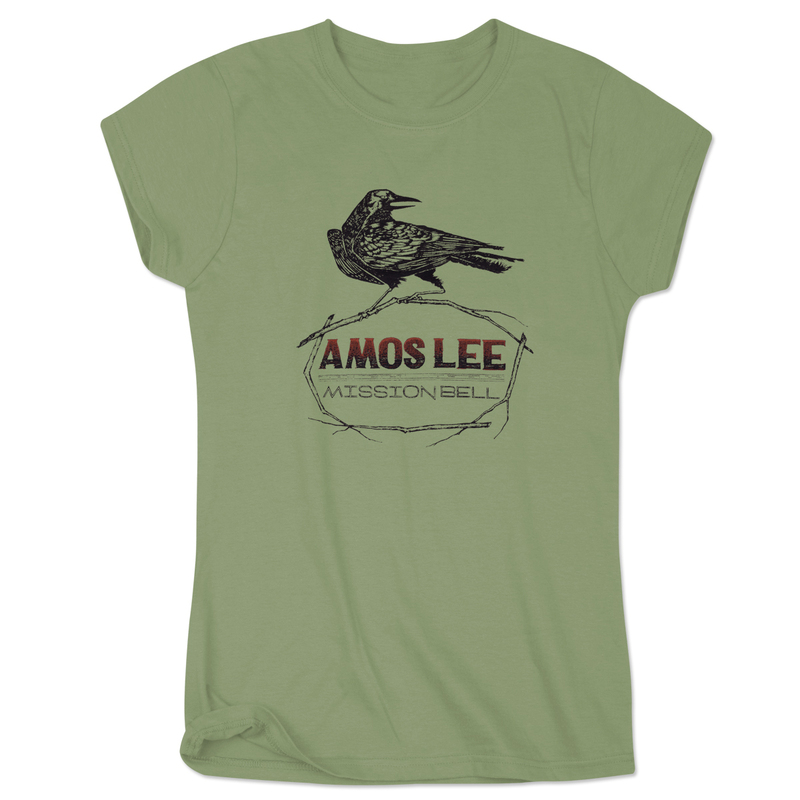 Olive short-sleeve women's t-shirt featuring the Amos Lee Mission Bell crow artwork on front. Next Level t-shirt, 100% cotton. Love the color and quality! True to size.